USA Hockey has yet to announce its preliminary roster or first group of invites for the upcoming 2019 IIHF Men’s World Championship in Slovakia, but the Vancouver Canucks have revealed one participant for Team USA. 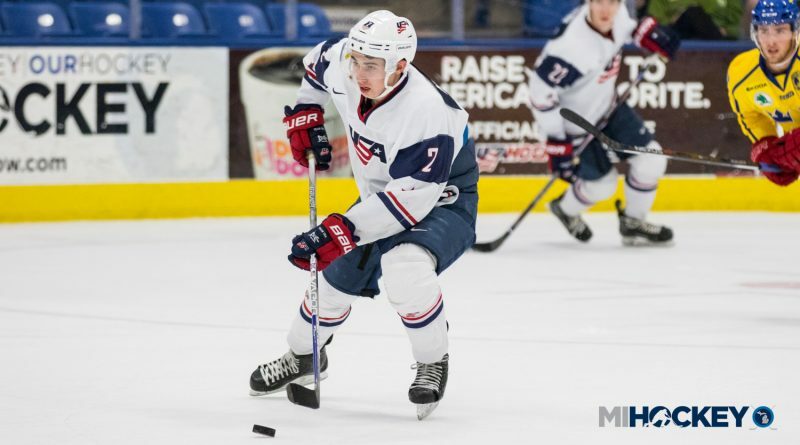 Quinn Hughes will be competing for the Red, White and Blue at Men’s Worlds for the second time in as many seasons. Last year, he was one of a select few college players invited to play with the team that annually consists of American-born NHL players. MiHockey will be keeping track of all of the Michigan names slated to participate as they are announced. Hughes turned pro on March 10, signing with Vancouver Canucks after being selected No. 7 overall last summer. He spent two seasons with the Michigan Wolverines after two with USA Hockey’s National Team Development Program in Plymouth. The 2019 edition of the World Championship will take place in Slovakia; Team USA’s first game is May 10 against the host country.